In terms of consumer take up the most successful broadband project in the world is the OnsNet (OurNet) community broadband project that started in the small town of Nuenen in the Netherlands. 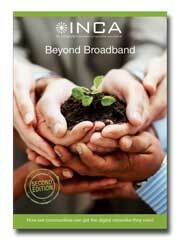 There more than 80% of the community are signed up to the local FTTH network. This is an astonishing level of commitment, way in excess of demand profiles used by most telcos. Any community that can deliver anything approaching these levels of take up can pretty much guarantee a cast iron investment proposition. The first thing that we have to acknowledge is that not all communities will have the same appetite for getting involved in broadband issues. There has been a welcome shift in the debate about how to deliver better broadband away from an overarching national approach, towards a more local focus. This is reflected both in government policy as expressed in Britain's Superfast Broadband Future, in the statements of ministers and MPs, and by many of the industry players. The first mapping exercise has to be to understand what the broadband landscape looks like today. It is critical to base this on data from primary resources – the incumbent operator, the cable companies, and so forth – and to seek or generate further data sets to validate the carrier’s data. This is equally true for an organisation based within the community as it is for an external organisation considering an investment in an area they know little about.